ha capito l’importanza di creare degli ambienti non inquinati da CEM, per consentire ai pazienti affetti da Elettrosensibilità di accedere alle cure ospedaliere. 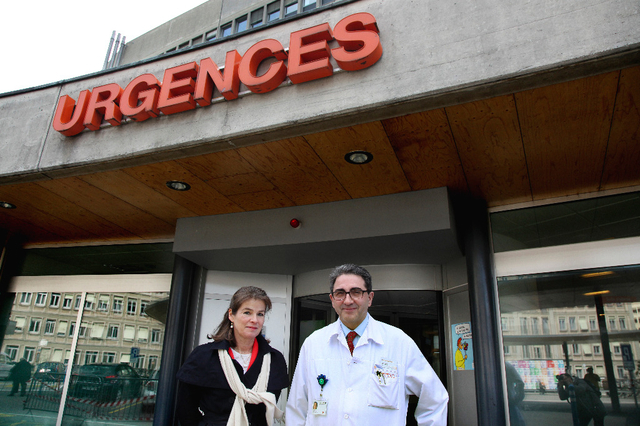 Professor Arnaud Perrier and Séverine Lalive Raemy believe that part of being attentive to the needs of all patients includes providing better care for handicapped persons. If one wants to “promote care” of handicapped persons at HUG, places free of electromagnetic (EM) waves should be created to treat electrosensitive persons (estimated to be 5% of the population). These persons, sensitive to the radiation emitted by Wi-Fi and other wireless technologies, cannot be treated at hospitals because this type of radiation saturates treatment rooms and even patient rooms. Everyone could become electrosensitive. In the January 2016 magazine published by CSS Insurance, the president of Doctors for the Protection of the Environment, Dr. Peter Källin, states: “More and more evidence suggests that electromagnetic pollution, even below the limit values, is harmful to health.” Dr. Källin criticizes the fact that the population is often insufficiently informed about the way to use these new means of communication in order to reduce electromagnetic pollution.